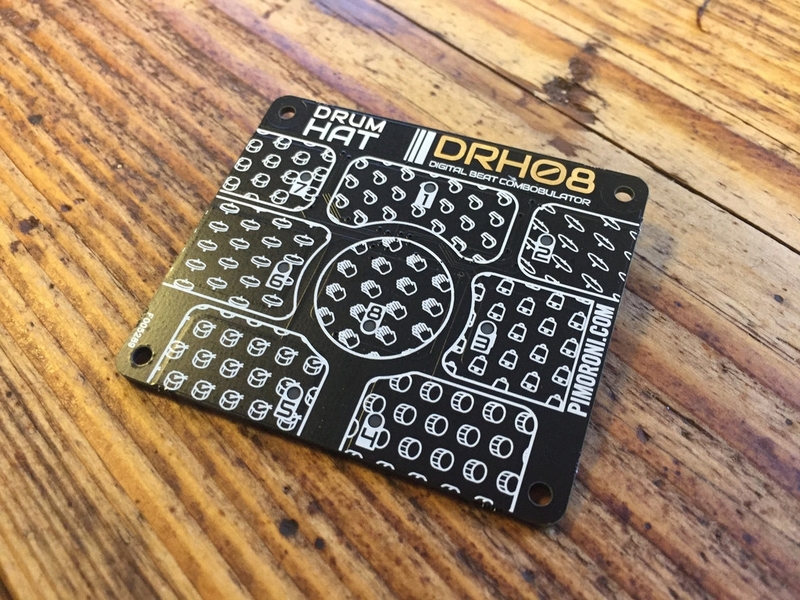 Drum HAT is compatible with Raspberry Pi 2, B+ and A+ and comes fully assembled, with a trove of examples to get you started. 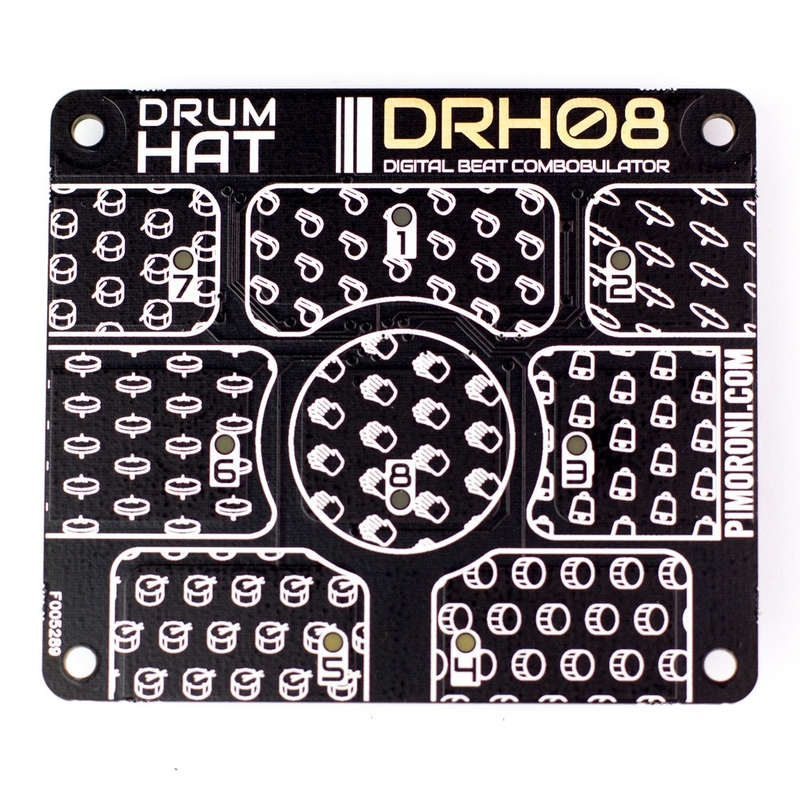 Works with Piano HAT - We made sure Drum HAT and Piano HAT could be used together on the same Pi. 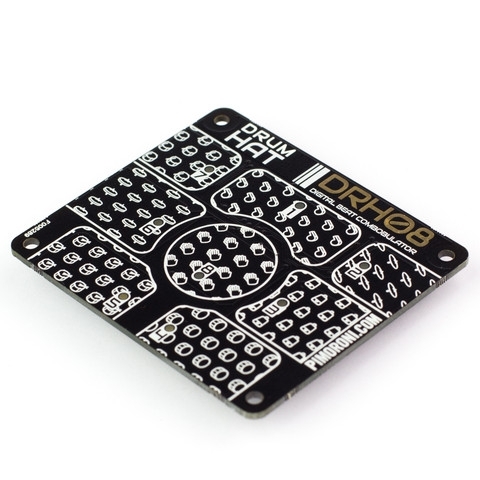 All you need is a little creative wiring or the help of a Black HAT Hack3r or two.